The 2017 Cadillac CTS V-Sport is a bargain compared to its pricier CTS-V counterpart. It's worth a look if you can't use all 640 horsepower in the CTS—and who can? On paper, the 2017 Cadillac CTS is the only mid-sizer from the luxury General Motors marquee. In the real world, it feels more crowded than that: The CTS shares a skeleton and some powertrains with the ATS, and confusingly, the nearly named CT6 seems like the more luxurious ride. But there's no need for alarm. Whether trimmed in base, Luxury, Premium Luxury, V-Sport or V-Sport Premium Luxury trims, the 2017 Cadillac CTS is still a unique thrill behind the wheel. The CTS competes in the lucrative luxury mid-size segment against the Mercedes-Benz E-Class, Audi A6, BMW 5-Series, and Lexus GS. The CTS is still Cadillac's "Art and Science" approach with the fewest number of filters. 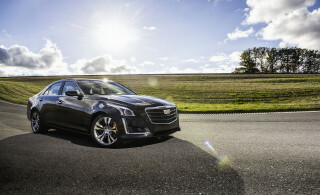 The look has been softened over the generations, but the CTS is still a sharply focused sedan (no more coupe, sorry) in a mid-size segment with a soft-focus bent. Cadillac reworked some of the lines for 2017 in the front and back. The front bumper receives a light touch to bring the vertical LED headlights down toward the road more, the rear bumper has been re-worked with vertical exhaust ports that bookend an updated valance. Emphasis on the word "worked" there—there's a lot going on. Under the hood, Cadillac's 2.0-liter turbocharged inline-4, a 3.6-liter V-6, and a force-fed twin-turbocharged V-6 are all available without stepping into the CTS-V, which we cover separately. 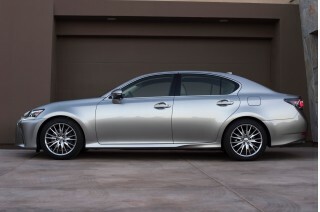 In base trim, the 268-horsepower turbo-4 shuffles down the line quickly up to 60 mph in 6 seconds. The 335-horsepower V-6 doesn't improve much on that 0-60 mph time, but the 420-hp turbo V-6 in V-Sport cars certainly does, to the tune of 4.7 seconds to 60 mph. All of the engines are paired exclusively to an 8-speed automatic with paddle shifters, and all but the V-Sport models can be fitted with all-wheel drive. We've spent more time in the V-6 than any other drivetrain configuration, and while we like it, it's not a huge step up from the base turbo-4. It makes the Cadillac a more confident tourer; the V-Sport is the quick pick if you don't have the blood pressure for a Corvette-powered CTS-V.
Cadillac's adjustable dampers are king here: the third-generation of GM's Magnetic Ride Control transform the mid-sizer into a luxury pace car and we highly recommend taking a look at shelling out the cash for them, if possible—your track times will thank you later. Inside, the CTS steps up from the ATS in terms of material, layout, and tech. Cadillac's active noise cancellation is here in full force—on the turbo-4 models, it's necessary. Front seat passengers are coddled in extremely comfortable (without being overly soft) buckets, and adults can fit comfortably in the rear after a head fake to get inside. The sloping rear roofline is the culprit for all the shucking and jiving, but it's not overly annoying. Its cargo room isn't exactly grand at just 13.7 cubic feet, but it's enough for a weekend trip with gear for two. Federal regulators have given the CTS five stars across the board, including a five-star overall rating, and the CTS comes with up-to-date advanced safety features. No automatic emergency braking is available here, but there are plenty of blind-spot monitors and forward collision warnings to keep in line with the rest of the competition. The IIHS has given the CTS mostly "Good" scores, except a "Marginal" rating in small-overlap front crash protection. Like many others in its class, the CTS can be stuffed full of the newest tech that the luxury segment demands. New for 2017, an 8.0-inch infotainment screen is standard, as is Apple CarPlay/Android Auto. Among our favorite features: adjustable suspension, a 12.3-inch digital instrument cluster, a rear camera mirror borrowed from the CT6, and power-operated cupholder. The CTS hasn't been fully rated by the EPA, but most models will land around 25 mpg combined—regardless if you opt for the turbo-4 or V-6. Adding all-wheel drive shaves roughly 2 mpg off highway and combined fuel economy. The 2017 Cadillac CTS is a handsome sedan and announces its presence with sharp creases and a stunning LED array. The Cadillac CTS is still the marquee's most exaggerated statement of "Art and Science," even after it has smoothed over the edges that originally came with the first CTS in 2003. For 2017, Cadillac smoothed over the front and rear ends of the CTS with minor lashes from the artist's pencil in the grille and bumpers. A new Carbon Black sport appearance package is available here, although the base car is still relatively handsome. From the rear view, the CTS separates itself from others in its class. The rear pillar is still just as thick as last year's version, although the taillights look taller this year and are accented by vertically oriented exhaust ports that add yet another angle to a melange of lines. Still, the rest of the car is all Cadillac, and the vertical LED headlights up front drag the nose to the ground, but also integrate the headlights into the fenders. These LEDs provide as much of a signature look at night as Audi's LED-framed headlights, or Dodge's rings-of-fire rear ends. The CTS is handsome inside, too. The dash wears a single piece of trim that drapes over the center stack, where cut-and-sewn upholstery mingles with wood trim, at least on uplevel models. Cadillac introduced two-tone themes on the smaller ATS, and they're on offer in the CTS, too, where they present some of the same exciting options and pitfalls. Big screens are the dominant feature of the CTS' cabin: the 8.0-inch touchscreen twins with a 5.7-inch monitor between the gauges or, on higher trims, a 12.3-inch panel that replaces the gauges. All lit up, the cockpit is a strikingly futuristic place, a universe away from the cool-touch 5-Series, more interestingly executed than the Jag XF. Roughly translated, CTS is the English equivalent for the German word for "fast." To get much better handling and speed than the 2017 Cadillac CTS, you'll have to either: A.) Pony up six figures; B.) Buy a racecar; or more likely C.) Do both. The CTS is the American sedan that showed the world we could take a turn. 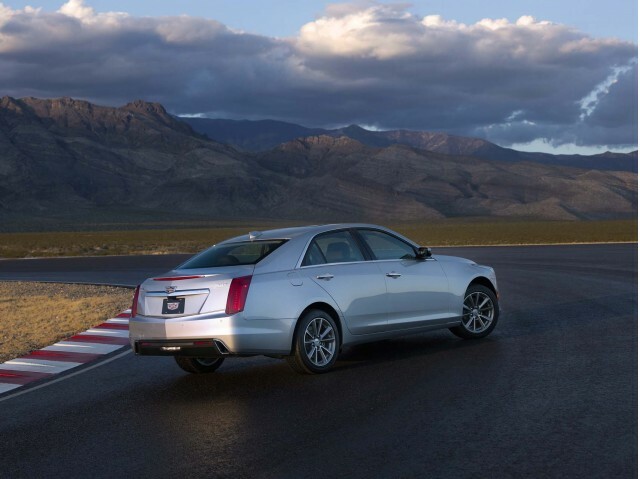 In any configuration, the CTS hits the road with poise and confidence. It shrinks around the driver like the smaller—and related—ATS, with a standard-tune FE2 strut-and-five-link suspension, electric-assist power steering, and 17-inch wheels and tires. The equal weight balance lets even the small-tire CTS a clean cut through corners, with steering that doesn't dose up with steroidal levels of artificial weight. Most of our time with the CTS has been spent in V-6 cars with GM's Magnetic Ride Control (MRC) suspension. That system, which uses dampers filled with magnetically charged fluid, is able to change stiffness in milliseconds and is shared with the Corvette Stingray. The CTS' magnetic dampers deliver smooth and agreeable ride quality one moment and sports car-firm damping the next. 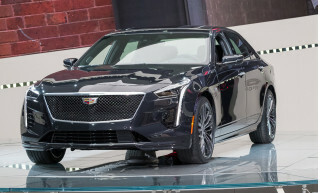 More supple than the shorter ATS thanks to more wheelbase, the CTS is never floaty or uncontrolled, and yet it's almost as agile as it's little brother. It also has sweetly tuned electric power steering and a remarkable sense of stability. Under the hood, the CTS even adopts most of the same powertrain lineup as the ATS—except in the high-po CTS-V, which we cover separately. 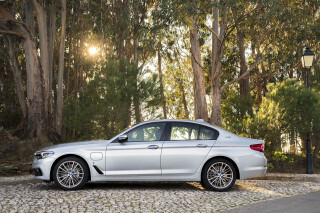 In base models, a 2.0-liter turbocharged inline-4 provides motivation. It's rated at 268 horsepower and 295 pound-feet of torque, which has been upgraded over previous iterations of the same engine. Those models ask for premium gas, although it isn't required, and can power the rear wheels or all four, if optionally equipped. Unlike the ATS, no manual is available here, only 8-speed automatics with paddle shifters. The 2.0-liter turbo-4 hems and grunts, although it's not entirely satisfactory. It's not a slow powertrain by any stretch, 0-60 mph comes in roughly six seconds, which is in the same neighborhood as the uprated 3.6-liter V-6. The more potent V-6 engine in the CTS, which is available in Luxury and Premium trims, makes 335 hp and 285 lb-ft from its V-6 layout. It's also offered in rear- and all-wheel-drive configurations, and makes the run up to 60 mph in about the same time, although it doesn't require a hotshoe for quick, predictable launches. Like the ATS, the 3.6-liter CTS doesn't serve up a wall of torque like its competition, rather its delivery is more progressive and predictable. It's an excellent choice for buyers interested in asking their mid-sizer to tour the interstates—or fade into the background during workday commutes. Its best feature may be its upgraded ability to shut down two cylinders for long highway slogs, which it does with relative ease. The payoff is evident: its fuel economy returns are nearly identical to the 2.0-liter, according to the EPA. The V-Sport gets a flurry of handling upgrades, including 18-inch Pirelli tires (19-inchers are an upgrade); a quicker steering ratio; a track mode for the magnetic dampers, steering, throttle, and shift points; an electronic limited-slip differential; and larger front brakes. It all compiles beautifully, with more nuance than all its digital inputs suggest. On 18-inch summer tires, the CTS V-Sport grips the ground fanatically, needling its way through carousels and esses famously, piped-in soundtrack ripping through the cabin downshift after downshift. The third-gen version MRC in the CTS is a must-upgrade. The CTS with MRC delivers top-drawer grip precisely, without ever slacking into lame mode. The new CTS is a true mid-sizer—but it just sneaks over the crossbar. The good news: The 2017 Cadillac CTS is Cadillac's only mid-size model (by strict classification) and it has the bona fides: 110.7 cubic feet of interior volume. The bad news: It makes the cut—barely—and skimps on some room that other cars may have. As it stands, there are perks to calling shotgun in the CTS. The available 20-way adjustable seats are fantastic and supportive. The deep, wide buckets make for good thrones on long hauls, and we had enough head room, but adding a sunroof will chisel away at that available space. The rear seats are roomy, but not palatial. 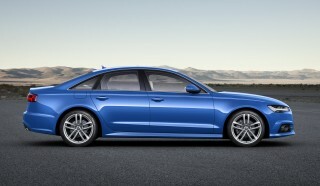 Only 35.4 inches of rear leg room is afforded to back seat passengers, and the low roofline requires a duck to get in. The cushion height will leave most adults with less under-leg support and less knee and head room than in the Benz or BMW. It's very Jaguar-like, in fact—a conscious choice to split the difference between a sleek roofline and a truly large back seat. Once you're aboard, the criticisms hush. No, really—it's very quiet in here. The first-generation CTS was the initial application of Cadillac's active noise cancellation system that pipes in sound-cancelling waves to quell vibrations coming from the road or powertrain. (Locking the torque converter at low speed sounds particularly unnerving.) It's a very good system, and helps the 4-cylinder engine the most; it's not the most refined mill on the road. The fit and finish of the CTS is particularly impressive, but others probably feature nicer materials. We can get on board with the semi-aniline leather and massive 12.3-inch instrument cluster, but those are found only on top models. As it stands, the CTS in middle to lower trims is very nice, but not quite ahead of the pack. The 2017 Cadillac CTS pairs advanced safety technologies with very good crash scores. Despite its age, the Cadillac CTS has a solid set of safety scores and very good available tech upgrades. The NHTSA gave the CTS five stars overall, including five stars in rollover crash safety, which is a difficult calculation for automakers to solve. The IIHS gave last year's CTS top "Good" scores in every category except the small-overlap crash score, where the Caddy managed a "Marginal" score. The institute rated the Cadillac's optional safety features as "Superior" when equipped. That advanced suite of safety tech, which is available on Luxury models and higher includes blind-spot monitors with rear cross-traffic alert, lane departure warnings with active lane control, forward collision warning, and a safety alert seat that rumbles the driver's seat cushion if the car begins to drift across lanes. A surround-view camera system is available as well. All versions of the CTS have more than the usual number of airbags—10 are standard, including front knee airbags. Rear parking sensors and a rearview camera are also included, as is GM's OnStar telematics system with a free year of service and remote access via a smartphone app. Well-equipped in base guise, the Cadillac CTS just keeps getting better if you throw more money at it. 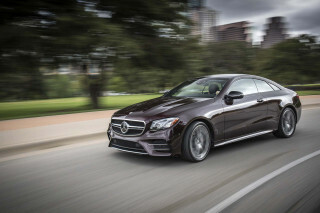 When it comes to mid-size luxury cars, the race to empty our wallets is truly savage. Every feature from semi-autonomous driving assistants to multi-contour massaging seats and pricey stereos are available in the Cadillac CTS and others. If you're not careful on an order sheet with a pen, you could trip, fall, and put your eye out with $10,000 in options. Base models come equipped with an 8.0-inch touchscreen infotainment system, which Cadillac calls "CUE," with Apple CarPlay and Android Auto capabilities. Bluetooth audio streaming and phone connectivity are standard too along with three USB ports, 11-speaker Bose audio system, 10-way power adjustable front seats, rearview camera, and rear parking assist. Cadillac's On-Star system, which offers base telematics free for five years, can also broadcast a wi-fi signal for an additional monthly fee. Stepping up to the Luxury model adds leather upholstery; HID headlights; power tilt and telescoping steering wheel; and panoramic sunroof. 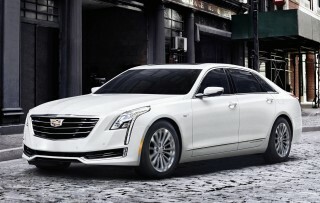 Numerous options also become available on Luxury models and higher including adjustable ride control, 18-inch wheels, a sport appearance package, and driver assist and safety features such as Cadillac's rear camera mirror, which was borrowed from the CT6. At the top of the simplified trim lineup for the CTS this year are Premium Luxury models that include the bigger 3.6-liter V-6 as standard and the rear camera mirror, a surround-view camera system, 18-inch wheels, automatic parking assist, tri-zone climate control, head-up display, heated rear seats, and a massive 12.3-inch high-definition gauge cluster. V-Sport models with the uprated 3.6-liter turbocharged V-6 add their own touches, including available beefier brakes, increased cooling, limited-slip rear differential, summer tires, and badges. As the name would indicate, V-Sport Premium Luxury models marry performance with the luxury fittings. A new Carbon Black appearance package has been added this year as an option to Luxury and Premium models. Oh, and a power-operated cupholder. Forget what the GPS says—that cupholder is the signal you've arrived. The base 2.0-liter turbo-4 isn't all that efficient compared to the V-6, and it's not as frugal as others from Audi or Volvo. 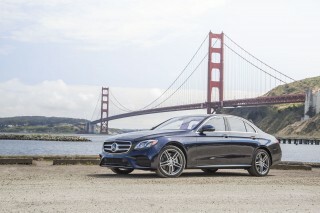 The base 2.0-liter turbo-4 and 8-speed automatic is rated by the EPA at 22 mpg city, 30 highway, 25 combined. 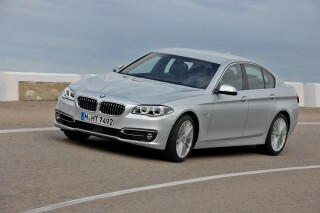 Adding optional all-wheel drive (AWD) dropped those ratings to 21/29/24 mpg. When equipped with a 3.6-liter V-6, the 2017 Cadillac CTS manages ratings of 20/30/24 mpg, according to the EPA. Adding AWD to the V-6 knocks it down to 19/27/22 mpg. The turbocharged V-6 in the CTS Vsport is rear-drive only and is rated at 16/24/19 mpg. 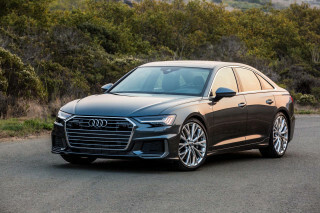 While the CTS is mid-stream in the mid-size category, others such as the Volvo S90 and Audi A6 manage better ratings—even with bigger engines. Cadillac uses stop-start and active grille shutter technologies to help eke out the most from every drop of dino-juice, but stop short of offering anything by way of plug-in or hybrid batteries.